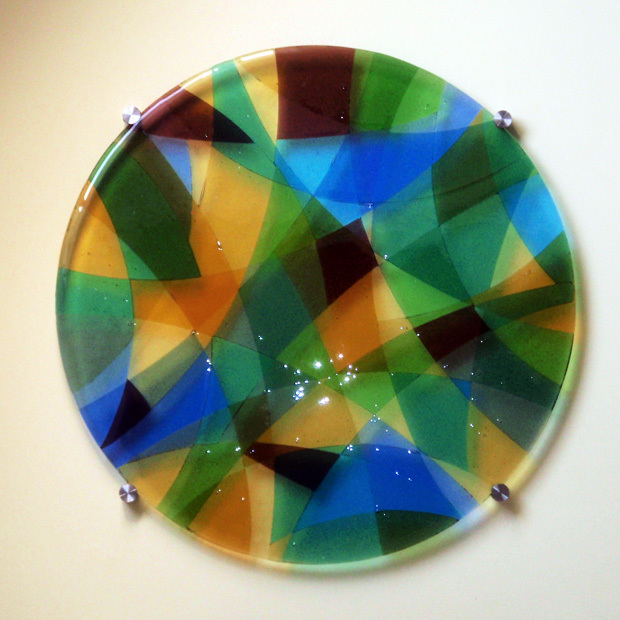 This fused glass wall feature was made to add a splash of colour to an ensuite bathroom. 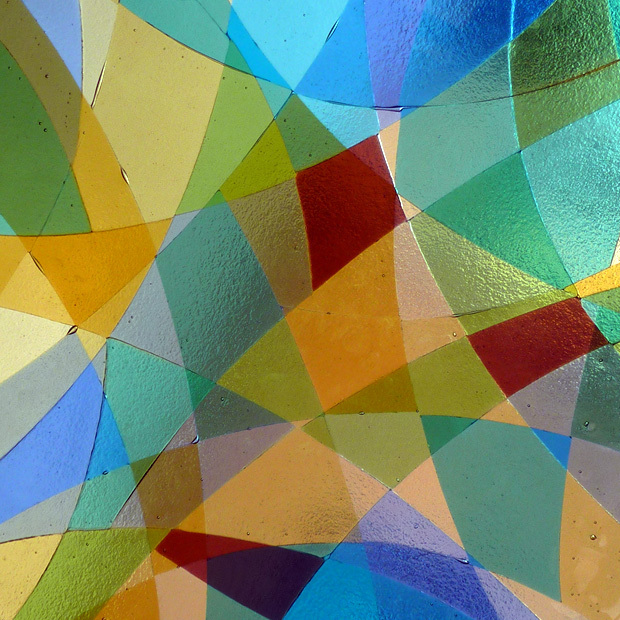 The panel is made up of 3 layers of coloured glass cut into various shapes. This creates a variety of shades, tones and colours as the shapes overlap. The panel measures approx 500mm in diameter and is attached to the wall with stainless steel fixings.